In the last two weeks we participated in "Au boulot à vélo". This is a challenge for our employees to come to work by bicycle as often as possible during two weeks. And it paid off! 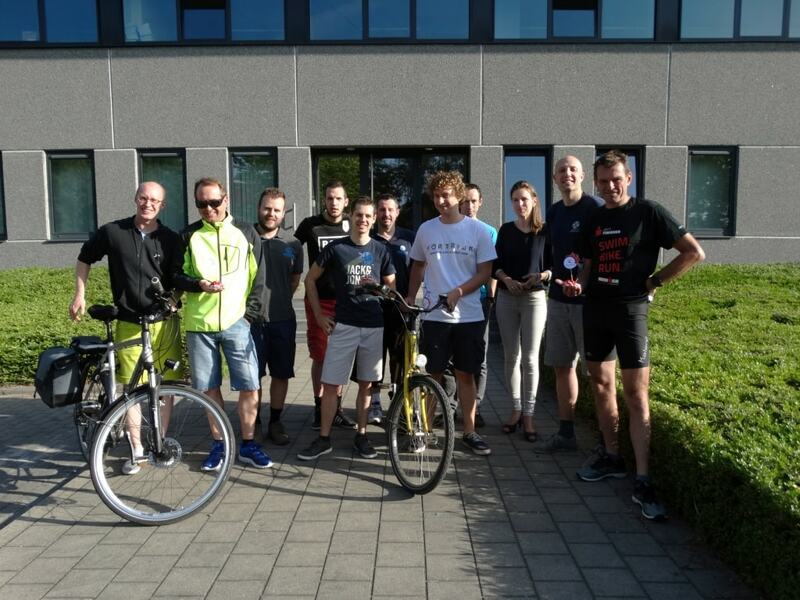 No fewer than 20 employees cycled along for a total of 1710 kilometres! Compared to the previous edition we see a nice increase. That promises for next time! 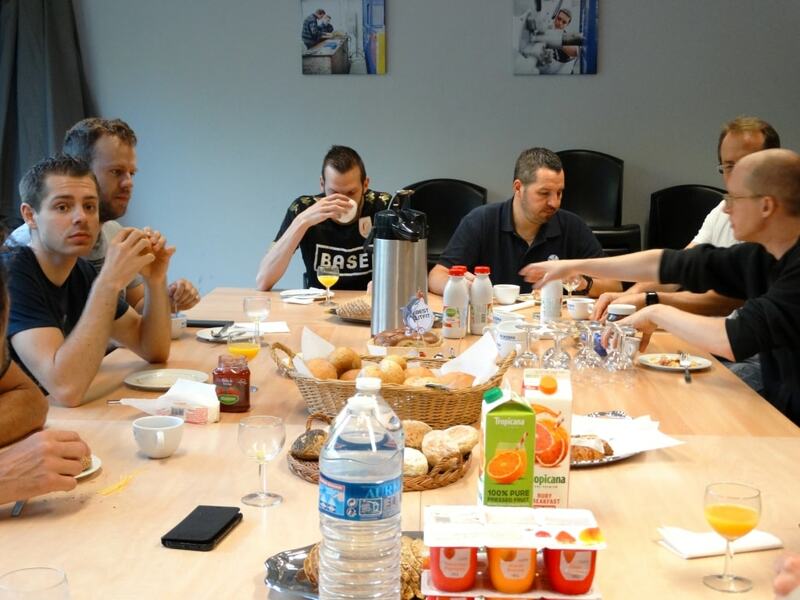 As a reward we spoiled them this morning with a delicious breakfast. Three people were also awarded prizes: the one who came with the bicycle most frequently, the one who cycled the most kilometres and the one with the most beautiful cycling outfit. Congratulations to Sander, Johan and Fabien!